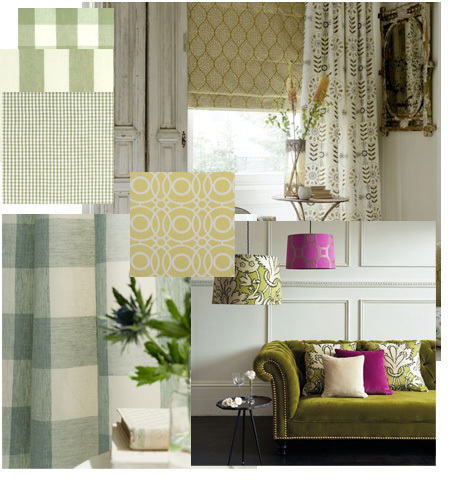 Browse our range of made to measure curtains in Green Fabrics. In our growing range of made to measure curtains we are offering the best quality fabrics, at factory prices. We run the full range of Clarke and Clarke, Prestigious Textiles, iLiv, Fryetts fabrics and many more brands. If you have a fabric in mind and don't see it on the site call us, we will be able to get it, and we will offer the best prices.